Description: Obi-Wan Kenobi, later known as Ben Kenobi during his exile, was a Force-sensitive human male Jedi Master who served the Galactic Republic. He was mentor and close friend to both Anakin Skywalker and his son, Luke, training them in the ways of the Force. Born on the planet Stewjon, Kenobi was taken as the Padawan learner of Qui-Gon Jinn. Kenobi became the first Jedi in a millennium to defeat a Sith Lord when he defeated Darth Maul during the Battle of Naboo. During the battle, Jinn was mortally wounded by Maul, and perished in Kenobi's arms. At Jinn's behest, Kenobi took Anakin Skywalker to be his own Padawan, training him during the decade leading up to the Clone Wars. 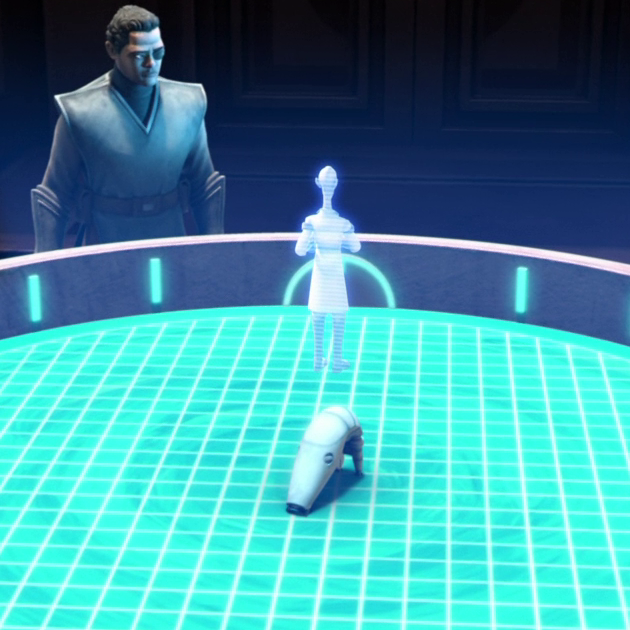 During the Clone Wars, Skywalker was made a Jedi Knight while Kenobi (as a result of his military successes in the Outer Rim) was granted the title of Master and named to the Jedi Council. The two Jedi fought alongside each other as generals many times. In the last days of the Clone Wars, Skywalker turned to the dark side, betraying the Jedi. Skywalker's new Sith Master, Supreme Chancellor Palpatine, used Order 66 to destroy the Jedi Order, though Kenobi survived and reunited with another survivor, Grand Master Yoda. Kenobi confronted Skywalker, who had now taken the name Darth Vader, on Mustafar, and the two dueled. Kenobi emerged the victor, gravely wounding Vader and remorsefully leaving him for dead. However, as Palpatine established the Galactic Empire in place of the Galactic Republic, Vader was rehabilitated, though he was forced to rely on a cybernetic suit for life support. Kenobi went into exile on Tatooine, where he would watch over Vader's newborn son, Luke Skywalker, who he took to live with his aunt and uncle, Beru and Owen Lars. Seventeen years later, he eventually confronted his old enemy Maul, who he again defeated in a brief duel. As the former Sith lay dying in Kenobi's arms, the two finally made peace, and Maul stated that Luke would avenge them both. Two years after the death of Maul, Kenobi received a message via R2-D2 from Leia Organa asking for help in the Rebel Alliance's fight against the Empire. The droid contained the plans to the Death Star, a battle station created by the Empire capable of destroying planets, and the plans needed to be taken to Bail Organa on Alderaan. After Luke Skywalker's aunt and uncle were killed by Imperial forces searching for the plans, Skywalker agreed to join Kenobi on this mission and be trained as a Jedi. The pair were taken to Alderaan by Han Solo, only for them to discover that the planet had been destroyed by the Death Star. Their ship, the Millennium Falcon, was captured by the Death Star's tractor beam, and Kenobi was confronted by Darth Vader. Vader and Kenobi dueled again, and Kenobi allowed Vader to kill him so that Luke and his companions could escape the Death Star. In the following years, as Luke continued fighting for the Rebel Alliance, Kenobi continued to give him guidance as a Force spirit, including directing Luke to the planet Dagobah, where Luke received training from one of Obi-Wan's Masters, Yoda. In his youth, the loyal and dedicated Obi-Wan Kenobi possessed a dry sense of humor and sarcastic wit. Yoda said that he sensed Qui-Gon Jinn's defiance in him, and Jinn himself reflected upon Kenobi's considerable knowledge and potential; he also considered his Padawan a lot wiser than him, if somewhat headstrong. Often seen wise beyond his years, his humble and soft-spoken demeanor belied his warrior prowess. 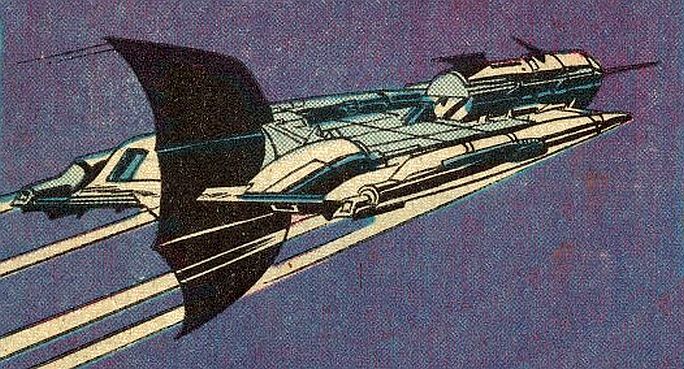 Despite his numerous complaints during flight, he was also a skilled pilot. In many ways, he represented the strength of the old Jedi Order: steadfast, selfless, and modest. His later skill at resolving disputes without a single battle would earn him the sobriquet "The Negotiator", at least in the eyes of General Grievous. Over time, Kenobi lost some of his youthful audacity and assumed the role of a more cautious and conservative mentor to Anakin Skywalker, who was in many ways his opposite in personality. Kenobi carefully measured his actions in any situation, garnering him the aforementioned nom de guerre. Kenobi was also known to be an accomplished storyteller. While hiding in the Jundland Wastes in his later years, he appeared as a kindly and eccentric old hermit (or, in Owen Lars' words, "That wizard is just a crazy old man") to those not familiar with the ways of the Jedi. In his final days, Kenobi retained his traits of patience and foresight as well as gaining some of the boldness reminiscent of his youth. Kenobi often thought out plans and strategies rather than leaping into action. He would usually place his hand on his chin or stroke his beard as he thought. This was a common trait of the Jedi Master, one that his apprentice Anakin Skywalker did not practice very often. He sometimes mentally repeated the Jedi Code to calm himself. Kenobi's respect for the lives of others led him to emerge from hiding to save Ezra Bridger and the C1-series astromech droid Chopper from succumbing to the deserts of Tatooine. Kenobi then reproved Ezra for succumbing to Maul's manipulation and counselled the young rebel to return to his place with the rebellion. Despite not hating Maul, Kenobi was prepared to fight and kill him in self defense. After mortally wounding Maul, Kenobi comforted the former Sith and assured him that he was watching over the "Chosen One", Luke Skywalker, though Luke was not the Chosen One by prophecy. Kenobi was a very capable lightsaber duelist, one of the greatest swordsmen of his time. Throughout his training years, he had learnt several forms of lightsaber combat, especially Form III. In contrast to the aggressive dueling styles of his master, Qui-Gon Jinn, and his apprentice Anakin Skywalker, Kenobi's combat style was mainly defensive, though he would use aggressive attacks when pressed. He faced some of the most dangerous people in the galaxy, such as the deadly Sith Lord Darth Maul and infamous Jedi Hunter General Grievous, respectively, the latter of whom he fought on at least seven occasions. Though he lost to the cyborg in three of their encounters (the first, fifth and sixth), he was able to survive every time without any serious injury. He was able to duel Grievous to a draw in their third and fourth encounters, and was able to overpower him in their second duel and ultimately killed him in the final round. However, it should be noted that Kenobi ultimately killed Grievous with a blaster rather than his lightsaber. Although Kenobi usually used only one lightsaber, he also seemed to have been well-versed in the art of Jar'Kai, which was perhaps most prominently displayed during his duel with Darth Maul and Savage Opress, in which he wielded both his own lightsaber and the lightsaber of the deceased Adi Gallia. His mastery of dual-blade combat allowed him to hold his own against both the Sith brothers and he even managed to break Opress's left knee and sever his left arm. The duel ultimately ended as a stalemate when Maul used his Force powers to briefly incapacitate Kenobi, giving the brothers time to escape. Kenobi also situationally, and somewhat less successfully, used Jar'Kai against General Grievous and Cad Bane respectively. He was also capable of using his lightsaber to ground Force lightning, as he demonstrated against Dooku on Geonosis. Kenobi was also able to defeat his former apprentice Anakin Skywalker, then Darth Vader, in an epic duel on Mustafar. Making use of his staunch Form III defense throughout the fight, Obi-Wan was eventually able to exploit Vader's aggressive nature, and dismembered the hate-filled Sith Lord when he recklessly jumped towards him. Decades later, he defeated his old nemesis Maul within seconds despite the former Sith Lord having demonstrated the ability to hold an advantage against three Inquisitors simultaneously, and duel his master Darth Sidious for a short time. A short time later, during his rematch with Vader on the first Death Star, he proved formidable enough to hold his own against the Dark Lord for a short time. However, Vader's cautious but relentless assault ultimately overwhelmed Kenobi's defenses, and he was forced to begin retreating. Ultimately, he chose to become one with the Force rather than continue the fight and in doing this, he taught both of his Skywalker students one final lesson. hough Kenobi focused largely on lightsaber combat, he was also very skilled and powerful in use of the Force. He was trained in the use of the mind trick, making use of it whenever he wanted to avoid physical confrontations. He was also able to use the Force to tame, control, and lead a group of angry gutkurrs on Ryloth. As befitted a Jedi, Kenobi was adept at concealing his feelings in the Force when he chose to. He was also capable of using telekinesis to push or levitate objects,, or to crush them, as seen when he destroyed two commando droids to recover his lightsaber after a difficult hand-to-hand fight with Darts D'Nar. He would also use the Force to augment his natural leaping ability. His ability to use the Force push technique was exceptional, as he was able to use it to blast back General Grievous dozens of meters with a single push during their duel. A short time later, he was even able to hold off a Force blast from Anakin Skywalker during their duel, though after a short time the resulting telekinetic struggle launched both of them across a room. Prior to his exile on Tatooine, Yoda instructed him on how to communicate his late master, Qui-Gon Jinn, who was unable to visibly manifest as a spirit due to his incomplete training under the Force Priestesses. Through Jinn, Kenobi eventually learned the ability to manifest his consciousness after death, a skill he would later put to good use to guide and counsel his apprentice, Luke Skywalker, during the Galactic Civil War. Obi-Wan Kenobi proved himself to be a great military strategist and a highly studious man, demonstrating good knowledge on galactic history or conventions of war, like the Yavin Code. He personally led his troops to many famous victories during the Clone Wars, and his persuasive demeanor earned him the moniker of "The Negotiator." Despite his dislike of flying, Kenobi was an excellent pilot. 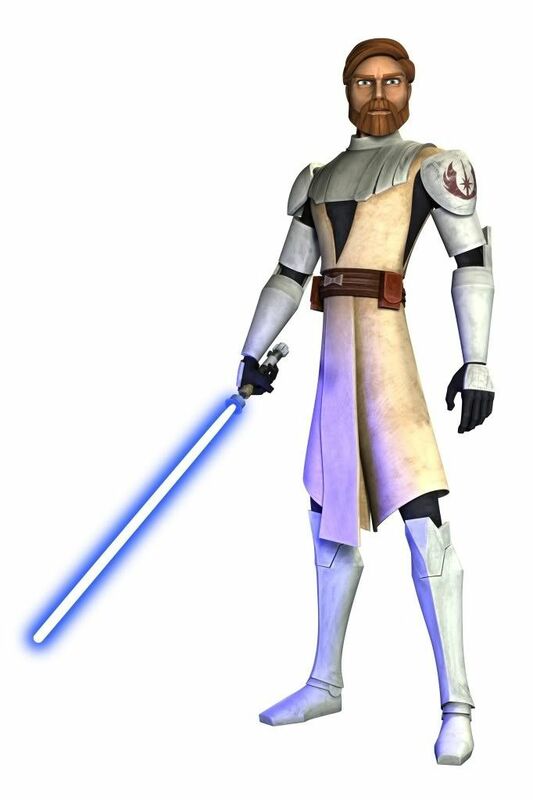 During the Clone Wars, he led many attacks from the cockpit of his Jedi starfighter or his Jedi interceptor, proving to be an outstanding pilot when navigating through an asteroid field in pursuit of Jango Fett's ship and evading his seismic charges unscathed. Kenobi was also a skilled hand-to-hand combatant, having developed enough level of skill in unarmed combat so as to compete with Pre Vizsla, leader of the Death Watch, in unarmed techniques, though he outclassed the Mandalorian in lightsaber technique. During his duel with Jango Fett on Kamino, Kenobi was briefly deprived of his lightsaber, and fought the bounty hunter in unarmed combat. Furthermore, while he preferred lightsabers, Kenobi was an excellent marksman, as demonstrated during his time as "Rako Hardeen" in Moralo Eval's Box. 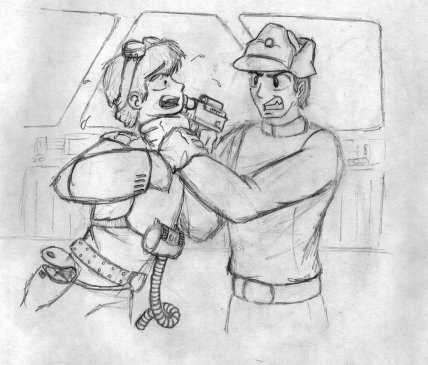 Though he admitted his skills were "rusty," Kenobi could read hand signals accurately enough to understand Eeth Koth's message to his location at the Saleucami system. 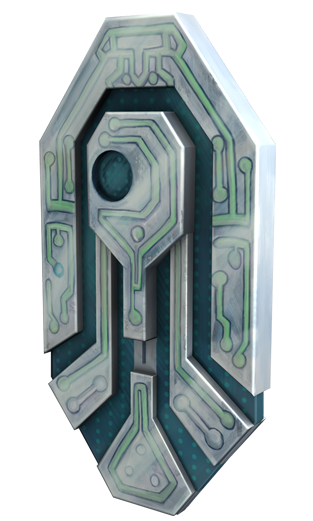 He understood many languages, including Galactic Basic, Twi'leki, Amani language, Felucia's tribal language, and Shyriiwook.